Take Advantage of Some Major Memorial Day Weekend Sales and Discounts with These Top 7 Tips! Memorial Day sales aren't just about preparing for the summer. This is a good time to buy items needed for the next school year or even as Christmas, wedding and birthday presents. A comprehensive list will allow you to make the most of deals often offered by stores for just one weekend. Stores frequently advertise early in Sunday or Wednesday circulars, so make sure you check your local paper to determine which merchants will offer the best buys. Websites like MainStreet and SavvySugar offered roundups for last year's Memorial Day sales, so check online resources for information as well. Now that you know what you need and where you'll shop, it's time to stock up on gift cards from websites like GiftCardGranny, where you can buy discount cards anywhere from 10-percent to 30-percent off the face value for both major and minor merchants. In addition to perusing circulars, look for online coupons and free shipping codes when ordering items online. You should also download a few money-saving apps to your smartphone before heading to the store. Foursquare provides exclusive coupons to those who "check-in" to various retailers, and retailers often post deals on Facebook and Twitter for loyal followers which you can access via smartphone. Review this story for tips on which apps to download for your iPhone or Android device. Not all sales are equal. Use your smartphone to check out online prices before making an in-store purchase, and don't forget to figure in any shipping costs. Comparison apps make this easy, so read Lifehacker's list of the best mobile apps. As with Black Friday, you'll want to hit stores early, to avoid missing out on deals. Check circulars carefully for any information on how many sale items a store is offering for Memorial Day, so you know whether it's worth hitting a particular merchant for your desired item. It's easy to fall for deals on products you don't really need when you're inundated with sales and promotions. Remember that just because something's on sale, it doesn't mean you need to grab it before the day is over. Give yourself time to think about the purchase and remember there will be future opportunities to save, especially with Fourth of July and Labor Day sales around the corner. 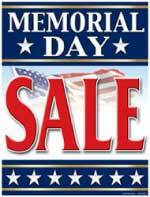 Do you look forward to shopping the Memorial Day Weekend sales? Is there anything in particular on your shopping list this year? 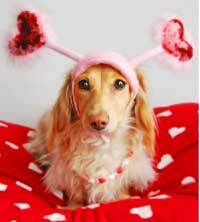 Fun and Frugal Valentine’s Day Gift Ideas for Pets ~ Show Your Furry Valentine Some Love!